My kids love Peppa Pig especially my daughter Summer who is going to be three in a few weeks so when we were asked to try out something from the Peppa Pig Construction Range they were super excited. The Construction range is very similar to Duplo where you use large bricks to build the play set and it's suitable for children aged 18 months +. We were sent the Grandpa Pig's Boat Set which includes everything you need to build the boat and a Grandpa Pig figure aswell as stickers to decorate the boat. The good thing about the boat is that it has wheels on the bottom so it doesn't need to be in water to be played with, the kids could just push it along and pretend it was floating on the sea, this makes it much more usable. 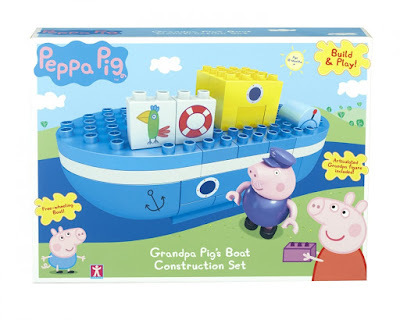 It was fairly straight forward to put together, it probably only took 5-10 minutes with the kids helping out but they really enjoyed the building process so that part was fun and then they got to have even more fun playing with the boat and Grandpa Pig once it was finished. Both of the kids really enjoyed the Peppa Pig Construction Set, Riley enjoyed building it and they both have lots of fun playing with it, as well as being fun it also helps encourage dexterity and coordination skills. There are lots of different Construction Sets to collect and I definitely think we'll be collecting more in the future. 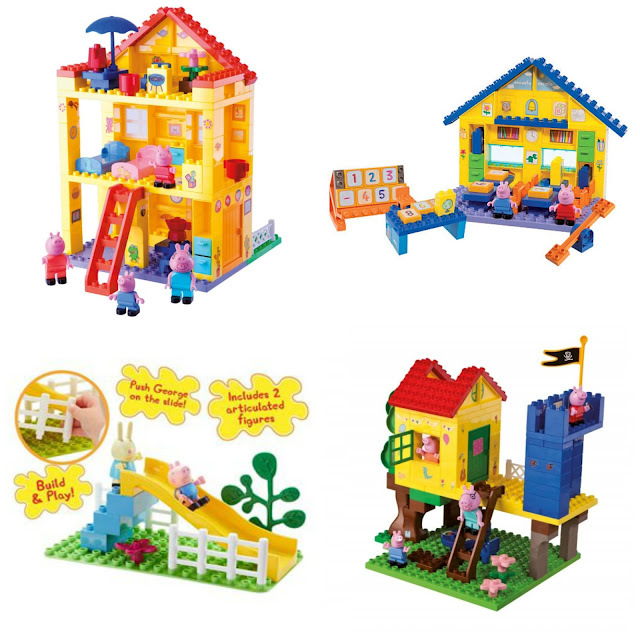 The Peppa Pig Construction Sets are available to buy in most toy stores and start at just £9.99. Looks great, my son loves his Duplo (when he's in the right mood, haha!). This is fantastic for any Peppa fan (my son loves Disney channel too much to turn it over! ).